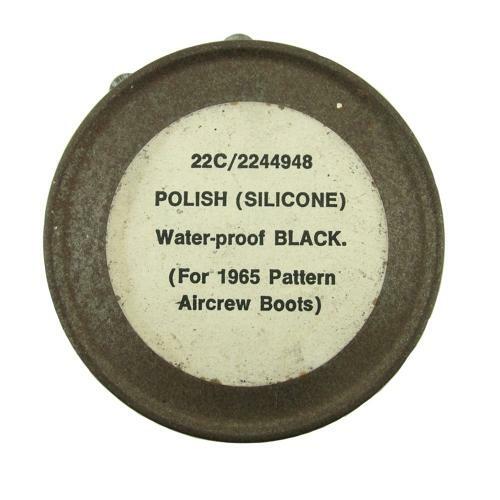 'Polish, Silicone, Water-proof Black (For 1965 Pattern Aircrew Boots)'. Stores reference 22c/2244948. Cylindrical tin of polish specifically for the 1965 pattern flying boots. Part used but the remaining polish is useable and this is rare stuff! Stock code B23085.